Kunsthistorisches Museum Wien and Imperial Palace (Hofburg) are good opportunities to explore the local culture. Shop till you drop at Vienna Naschmarkt and Xocolat. Pack the 28th (Wed) with family-friendly diversions at Prater. 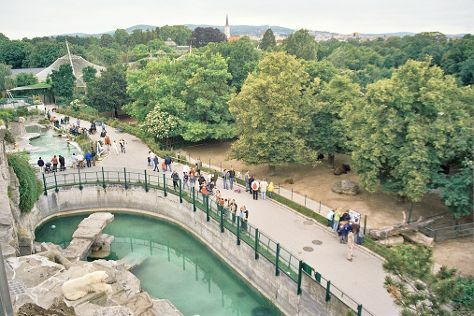 There's still lots to do: take a stroll through Historic Center of Vienna, admire nature's wide array of creatures at Schönbrunn Zoo, take in nature's colorful creations at Schonbrunner Gardens, and examine the collection at MuseumsQuartier Wien. To see more things to do, photos, and tourist information, read our Vienna trip itinerary maker website . If you are flying in from Ukraine, the closest major airport is Vienna International Airport. In November, daytime highs in Vienna are 11°C, while nighttime lows are 3°C. Finish your sightseeing early on the 28th (Wed) to allow enough time to travel back home.